Many many moons ago (okay, 2012!) 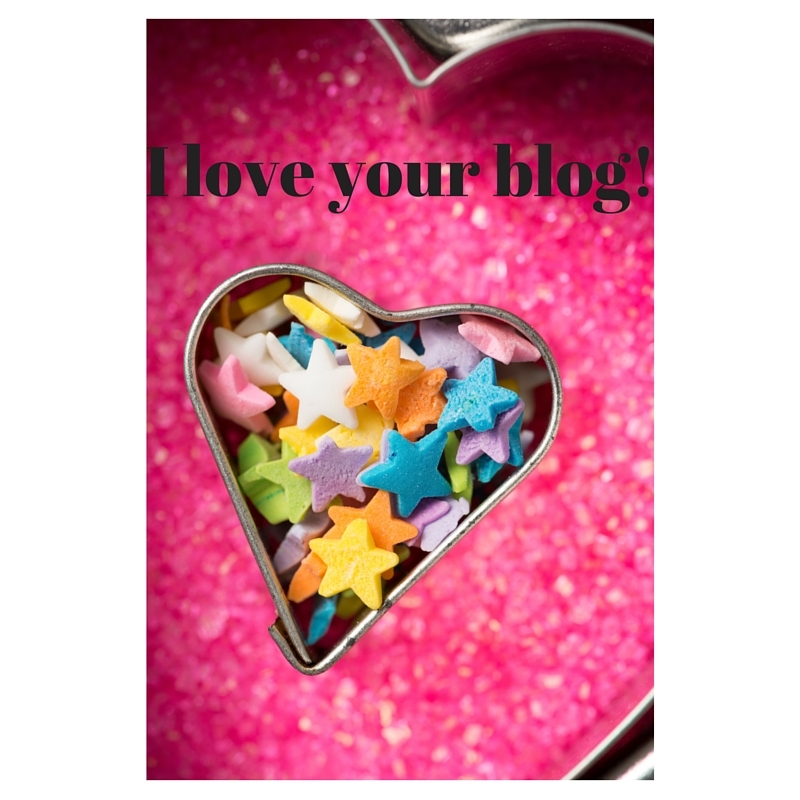 I started a little blog series called ‘I Love Your Blog‘. Having been reading blogs for years it was a fun way to share some blogs and bloggers I adored, and I really enjoyed doing the series. Last autumn I relaunched the series and every so often I’ll be sharing a few more writers who inspire me! Below are five bloggers I adore who I’d love to introduce, and who I hope to interview for this blog over the next couple of months or so. I hope you enjoy these pieces and that you’ll check out these fabulous writers. I first met Nayna at a bloggers cookery event a couple of years ago and have read her wonderful blog ever since. She’s a talented chef and a wonderful writer – I really enjoy clicking over there for some kitchen inspiration! Shan and I have been online friends for an age and I am such a fan of her writing….and utterly in awe of her reading prowess. Reading her blog is both a delight and an expense, because I always end up with about eleventy million books I’m dying to read. She is such a great book blogger! Jasmin is a witty and intelligent blogger whose posts are full to the brim with great stories, lovely pics and super tips for honing your blog game! I love reading her posts, whatever she decides to write about – her point of view is always so refreshing. She is also an absolute treaure IRL! I have been reading Kelly’s hugely successful blog for over seven years, a fact I realised when I read her post about her eldest daughter Harper’s birthday earlier this week…I remember reading the posts when Harper first arrived! Kelly is such a sweet and kind lady and I love the heart she has for others. I always enjoy checking in over there. Here in London there are SO many brilliant blogs (many of whom I hope to showcase in this series….some of which I already have featured here! ), and I’d definitely include KRR in that number. Full of restaurants, spas and experiences you’ll be dying to try, Mina has a unique take on the delights the city has to offer! I hope you’ll click through and check out these super bloggers – I’ve contacted them all for interviews and will hope to post some of these in the coming weeks. Fab – love these writers, hope you find some new favourites! Thank you for the shout out! I look forward to being featured here! Looking forward to hosting you, lovely book maven! I really adore this series – it's such a nice way to discover new blogs! I'm so glad you enjoy it – I love sharing about some of my favourites (yourself included! ).